JARC is a great place to fulfill your Bar or Bat Mitzvah community service requirements. There are many great ways to give back – choose what interests you. 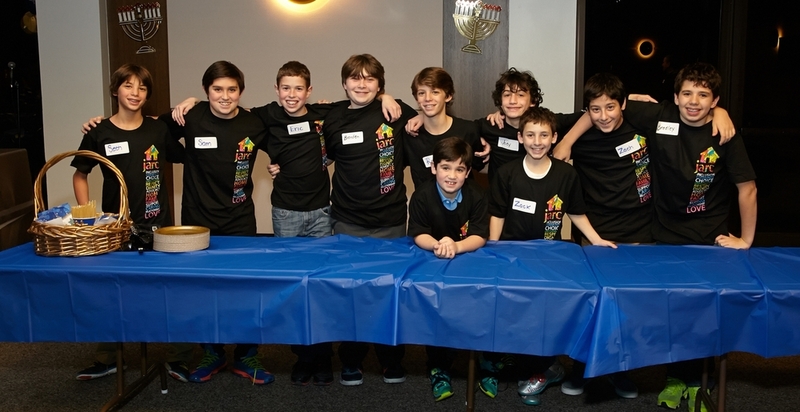 Youth volunteers helping out at the 2014 ILS Hanukkah Party! Visit a home for a beautiful Shabbat meal, lead blessings, or enjoy an oneg and after-dinner discussion. Bring your family and share your experience. For information about youth volunteering at JARC, contact Jessica at jessicatierney@jarc.org.